PITTSBURGH (AP) — The Pittsburgh Pirates pay Felipe Vazquez millions of dollars to close out games. It’s a great way to make a living. It just doesn’t happen to be the All-Star reliever’s favorite thing about his gig. Vazquez’s biggest perk comes in a giddy postgame clubhouse, when “DJ Nightmare” flips on his portable turntable, his teammates throw on masks and one of the National League’s hottest — if most enigmatic — teams lets loose. Over the course of the season, the playlist has changed to better reflect the varying tastes of the group. Some days it’s country. Some days it’s techno. Some days it’s hip-hop. On nights he’s not working — and there’s been little for Vazquez to do during a 13-2 surge that has thrust the Pirates back into the National League playoff picture — he’ll spend the ninth inning mulling his options. 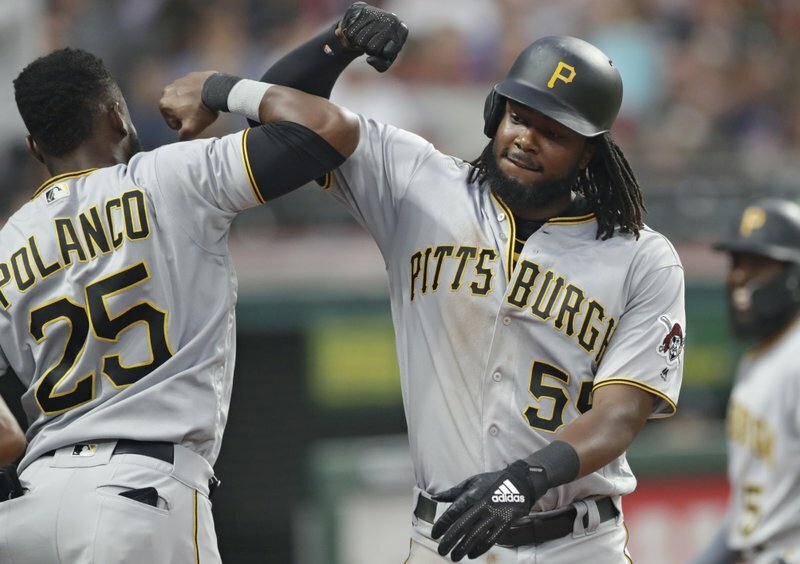 “I can’t wait to get in and get going,” Vazquez said on Thursday before the Pirates opened a four-game series against the New York Mets. It also makes the math a little tricky for general manager Neal Huntington, who took responsibility for a six-week swoon that had Pittsburgh sitting at 40-48 heading into its final nine games before the All-Star break. Huntington suggested if there was ever time for an 8-1 run, that was it. And here’s the thing: He got it. Now, a club that looked like a seller at next week’s non-waiver trade deadline could be a buyer. Maybe. Money could be tight. Attendance is down 15 percent from 2017 and 30 percent from 2015, when the Pirates won 98 games to reach the playoffs for the third straight season. Pittsburgh has never been eager to splurge. And yet its recent run didn’t have the hallmarks of a fluke. Hurdle didn’t get too low during a 14-31 slide from May 18-July 7 that turned a solid start into a distant memory. He’s not getting ahead of himself now, either. Results may vary. His belief in the names on the lineup card does not. A year ago, the Pirates put together a 12-2 stretch to get within two games of the wild card on July 21, only to lose six of eight by the deadline and fade away. This group believes it is not that group. Yet the Pirates also know they can’t get caught up looking around the clubhouse wondering who is going to be around in a week.